My children absolutely love books, my seven year old loves them that much that she tends to read atleast one a day, so I am always on the look out for new books to keep them entertained. I was really excited to be offered the chance to read a new book from author Leith Moghli called The Anagranimals and The Wishing Tree. This book is set in a mysterious land, in the forests and plains of Pogo Bogo. It is where you will find lots of ordinary every day animals who want to be anything but ordinary. Here you will see lions, lemurs, tigers, tapirs, elephants, emus, rhinos, giraffes, hippos, crocodiles, zebras, every kind of animal that you can imagine!! Some of these lovely animals want to be able to do things that other animals they know can do. You are inroduced to a mischievous gang of animals : George the giraffe, Pedro the pig, Heidi the hippo, Rocky the rhino, Ebenezer the elephant and Lancelot the lion. One day a magical wishing tree manages to grant them a very special wish, the animals each wish for the best parts of their other favourite animals. The story is bought to life by the amazing illustrations drawn by Ian King. These images are seen througout the book. You can see for yourselves just how the animals wishes come true. What I love is that the pictures seem to be more traditional looking, rather than lots of bright colours everywhere, you find yourself wanting to look at all of the pages in detail, just incase you miss something. This book is aimed primarily at children aged five to nine years old but I think it still suitable for you to read to younger children too. You can see why the book is more aimed at the five to nine age bracket, there are 32 pages to read, which is quite long for younger children. There is also a substantial amount of text to read but this really gives a good chance for the story to develop, I liked this because you didn't feel like you were rushing toward the end of the story. I sat and read the story to my 3 year old at bed time and I felt it was short enough that she didn't get bored as a read to her. We spent a lot of time looking at the pictures and picking out what parts of the body were what animal, it really engaged her. My eldest two were more than happy to read the book by themselves, although I did have to help my five year old out with a few of the words. It was lovely to hear them laughing as they read. Can you guess what different animals these were by the names?? So have I got you interested in the book??? 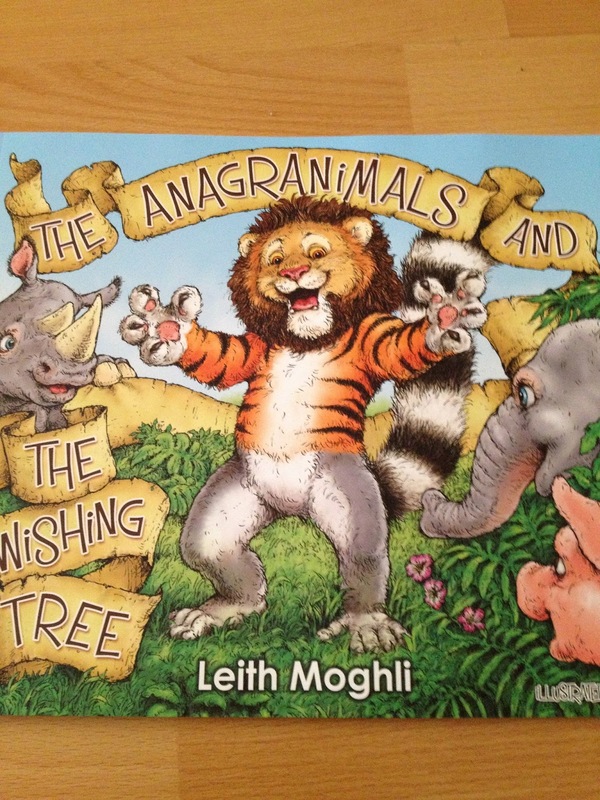 Well the lovely Leith Moghli has kindly allowed me to giveaway one signed first edition copy of The Anagranimals and The Wishing Tree to one lucky reader. To be have a chance of winning you just need to fill in the rafflecopter form below. This giveaway is open to UK residents only and will end at 11.59pm on the 22nd of September 2013. Disclaimer : The book was sent to me free of charge for reviewing purposes however all thoughts and opinions are my own.